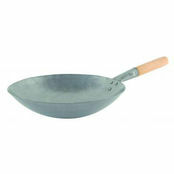 Wooden Handled Wok 400mm is also available in the following variations of colour or size. Below are other products that are similar to Wooden Handled Wok 400mm. 4.7/5 based on 6 ratings. 1 user review. 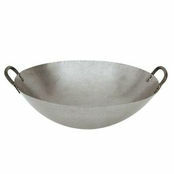 We love this wok, purchased for home use to go on our gas wok burner. The only thing that we didn't realise before purchasing was that our hand keeps needing to grip the wok where the metal and wooden handle meet, we have employed some temporary, makeshift measures, but will probably end up purchasing a BBQ (heat-resistant) glove. Seasoned up well and we have had a number of great fried rice meals made in it. Would purchase again and with the addition of the glove it will be perfect for our needs. 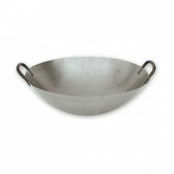 A silicone piece or similar would be handy to cover where the wooden handle meets the metal. 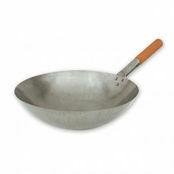 Nothing intrinsically wrong with the wok at all.